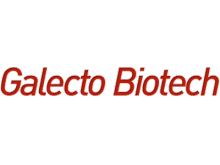 Galecto is focused on developing novel drugs for the treatment of fibrosis, inflammation, and other serious human diseases. The company’s products target galectins or galactoside binding lectins, which are a group of proteins shown to be involved in many disease processes. Since its founding in 2011, Galecto’s team of scientists and experts has proven that galectin-3 is an attractive drug target and that galectin-3 inhibitors are effective in reducing fibrosis in several different organs in preclinical models. Based on this research and recently completed clinical studies, Galecto’s high potency galectin modulators may open new treatment possibilities for many patients.